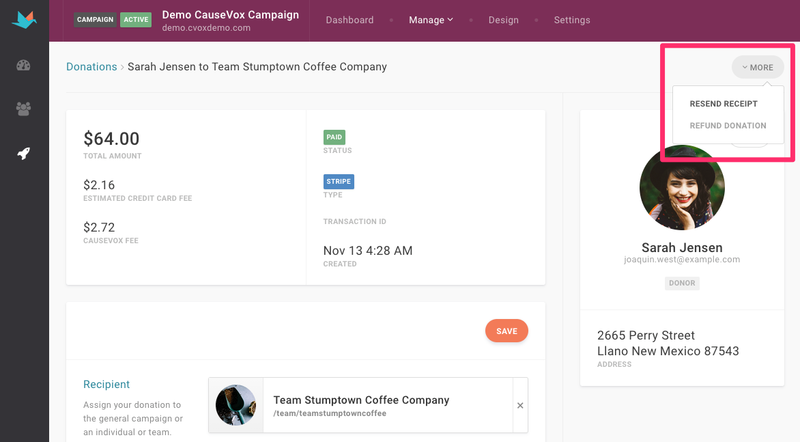 Step 1: In your Manage tab, click on “Donations” along the left hand menu bar. 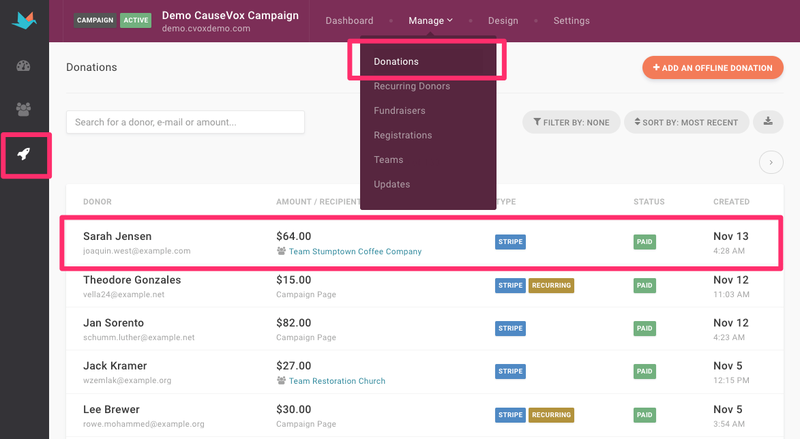 Step 2: Search and select the donation you would like to resend your receipt and click on it. 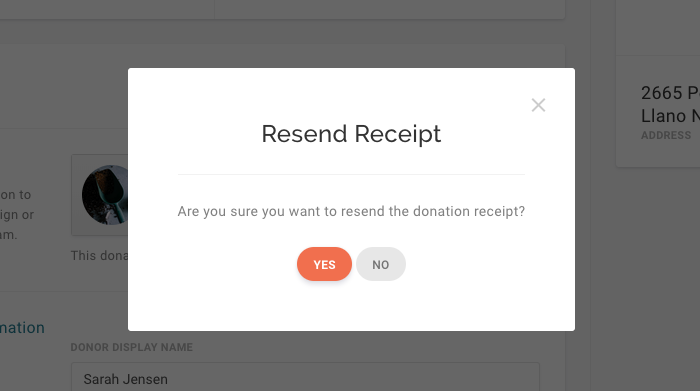 Step 3: In the upper right corner, click on "More" and select “Resend Donation Receipt”. Step 4: Confirm donation receipt resend.